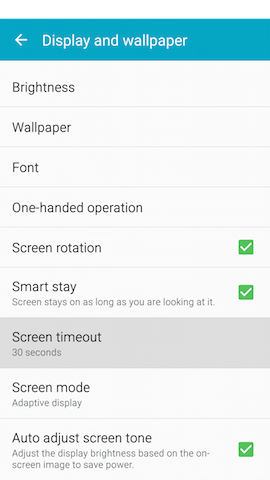 You can adjust the brightness and timeout of your device's display. 2. 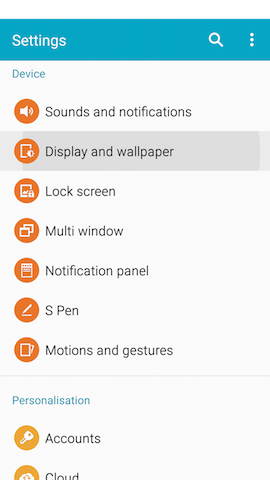 The display brightness adjustment bar is just below the Quick Panel shortcuts. 4. 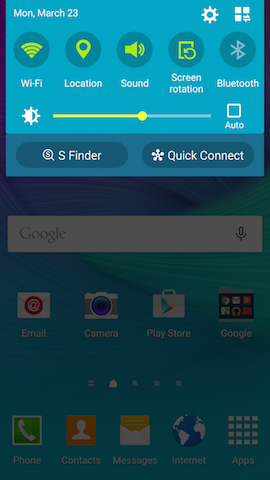 Touch and slide the bar to the right for a brighter screen or to the left for a darker screen. 3. 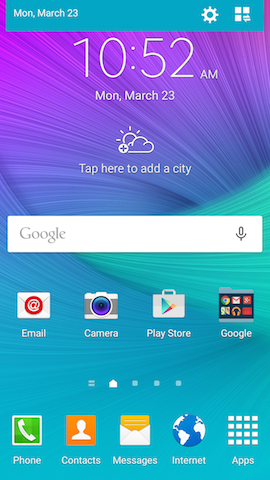 Scroll to and touch Display and wallpaper under Device. 5. Touch and slide the Brightness level bar to the right for a brighter screen or to the left for a darker screen. 6. 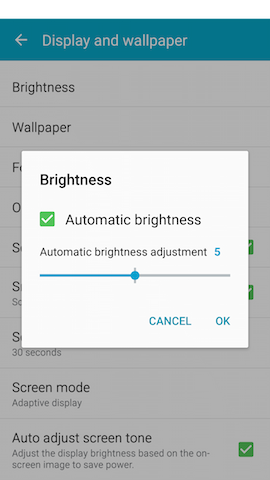 Mark the Automatic brightness checkbox to let the device adjust the display brightness based on your environment. 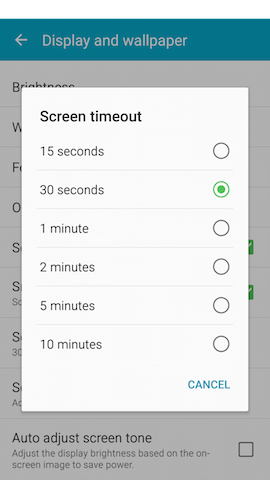 Note: Turning on automatic brightness and reducing the screen timeout can assist with battery conservation.